Nilgiri Hills of Tamil Nadu is Known For Its Distinctive, Dark And Intensely Aromatic Tea. Nilgiri Hills, also known as the Blue Mountain, is a popular region in Tamil Nadu that shelters numerous beautiful tea gardens. The hilly landscape of Nilgiri grows tea all round the year unlike Darjeeling and Assam. Situated at an elevation of around 1,000 meters to 2,500 meters, the major teas produced here are the Oolong and Black Tea. The aroma and flavour of these tea are highly distinct from the rest of India, and make for a perfect cup on a lazy afternoon. Some of the popular tea estates you must visit in Nilgiri include Tiger Hill, Corsley, Craigmore, Pascoes Woodlands, Colacumby, Nonsuch Dunsandale, Chamraj, Parkside, and Glendale. Nilgiri teas are often referred to as the ‘fragrant ones’ and that can be attributed to the higher elevation at which they are grown. 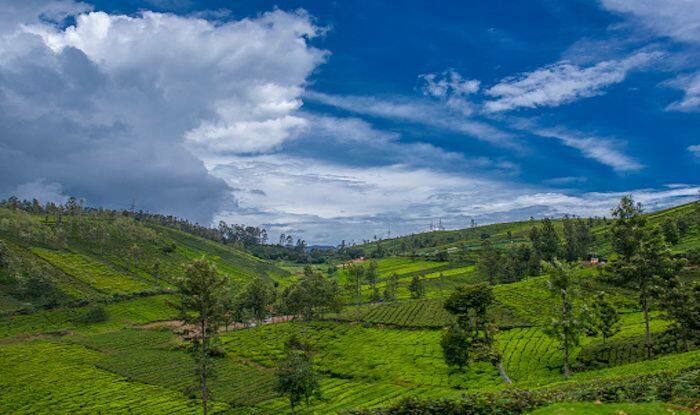 Places like Ooty, Coonoor and Kotagiri in the Nilgiri region are not only famous for their flavoured teas, but also make for beautiful hill stations offering an experience of a lifetime if you can manage a getaway there. If you’re old school and enjoy picnics, take a walk through the tea gardens, learn about tea picking and processing and then have a nice picnic later with your loved ones. You can also make a visit to Coonoor, the tea auction centre of the Nilgiris. At Coonoor, more than one million pound of tea is sold in a week; the amount doubles in the rainy season. You can also indulge in adventure activities such as trekking and hiking while you’re there. Nilgiri gives you the opportunity to shop for yourself and the loved ones back home. From exclusive home-made chocolates, fruits, Nilgiri tea, natural oils like the eucalyptus oil, honey, organic foods, to paintings and clothes – you’ll be spoilt for choice. For curious travellers there is a facility of home-stay with the local villagers, which gives you the opportunity to enjoy their culture and learn about their lifestyle and see up close how they earn their livelihood. The best time to visit Nilgiri Hills is when the best teas are produced. Which is during the cooler winter months, from late November to mid February.